Plastic house shaped money box. Coins are inserted through the slot on the roof of the house. Once filled, empty using the cap base. 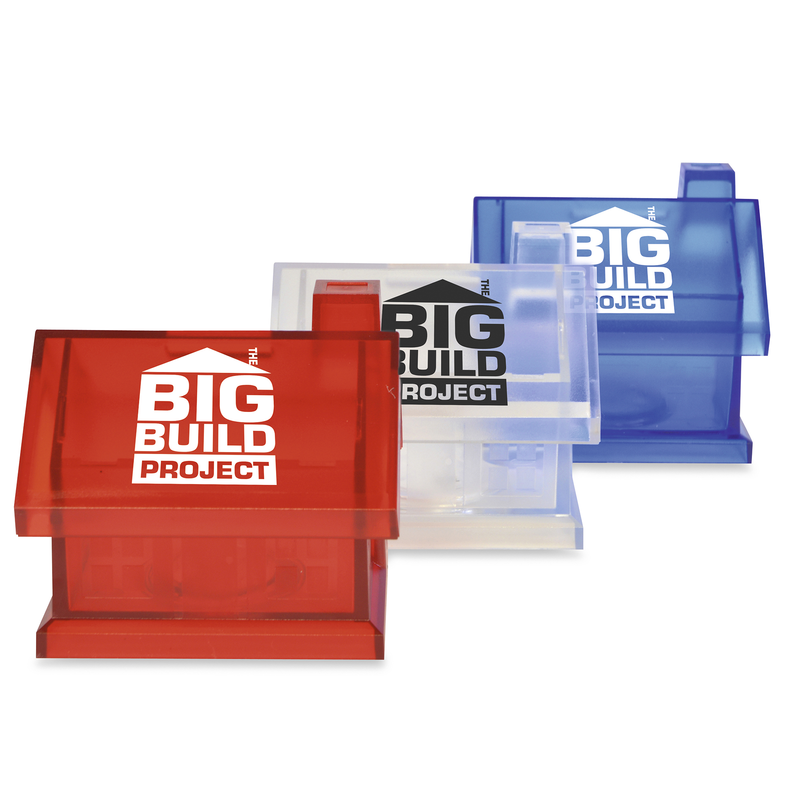 A novel promotional gift for building projects. EN71 approved.